Mike and Betty are seeking to serve the Lord through the ministry of Childrens Evangelistic Ministries, Inc., which they founded in 2004. They had served with Child Evangelism Fellowship® Inc. (CEF) for 20 years in many areas of ministry. During this time they were involved in teaching children's Bible clubs, teacher training of youth and adults in how to evangelize children, and shared the Gospel "face to face" at fairs and festivals. During the time they were involved in CEF, Mike and Betty took several weeks of Children's Ministries Institute® training. 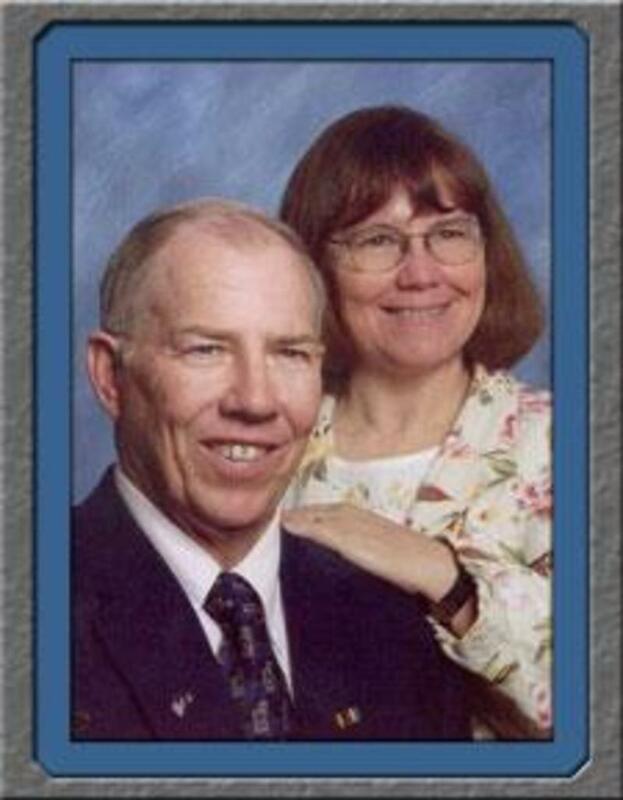 Mike and Betty have three sons: Josh lives in Bartlesville, OK, working at Conoco. Tim graduated with a master degree in business from Pitt State and is presently working at a bank in KC, MO. He is also a member of the Missouri National Guard. Joel is working in Wichita, KS, with a major company working in their international trading department. Betty is now the financial secretary at First Christian Church in Nevada. She is also Mike's secretary and enjoys being able to be more active in the ministry. During tax season she works for a CPA in Nevada, math checking tax returns. While she does not enjoy doing a lot of traveling, she enjoys being able to occasionally travel with Mike. Mike accepted Christ at the age of 33 and has felt the Lord's call on his life ever since. Betty accepted Christ at the age of 11. She was one of the "original bus children" of Calvary Baptist Church in Nevada, and understands the importance of God's children reaching out to the lost children in their area. All three of Mike & Betty's sons accepted the Lord as Savior by the age of four. Now, by God's grace, the "Energia" Ball of Many Colors and related witnessing items are in approximately 125 countries. One African pastor said the 'Ball of Many Colors' is the most powerful witnessing tool he has seen in many years. An Evangelist said the "Energia Witnessing Items" are like magnets to attract children of all ages and to keep their attention during the Gospel presentation. We have received many testimonies from all over the world saying how they were blessed in using our witnessing tools to the Glory of God. To contact us please email Cemi.mike@gmail.com.